In my previous post I noted that Gornitzky and Partners, Attorneys-at-Law, seem snowed under and unable to help their client, Surprise Import & Marketing of Gifts Ltd ward off an attack on the validity of their trademark in a timely manner. Well, amongst other time-consuming activities, it seems that they and the client have also got caught up in a competing marks proceedings. 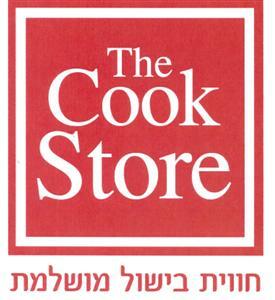 The mark in question, Israel TM No.253157 “The Cook Store” in classes 8 Tools and work hand-operated; cutlery; razors, In respect of devices for lighting, hitting (heating?) extracting streams (steam? ), cooking, cooling, drying, airing, supplying water, and sanitarian (sanitation?) purposes in class 11, Tools and Household or kitchen containers, combs and sponges, brushes (except paint brushes detergents), items for cleaning, glassware, porcelain and earthenware not included in other classes, in class 21. The mark was filed at around the same time as Israel TM No. 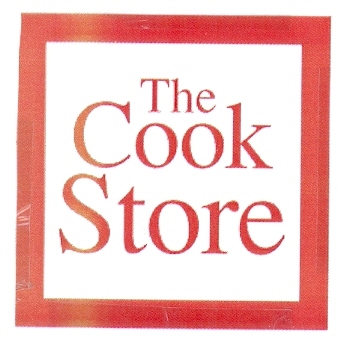 241892 also for the Cook Store in classes 8 and 11, this time filed by TABLE TOP COLLECTION LTD. Although both marks include styling, the text is identical and the logos are similar. In fact one seems to be a red on white negative of the other in white on red. An oral hearing was arranged on 28 May 2014, and Ms Helena Kazen, the owner of Surprise Import & Marketing Of Gifts Ltd did not turn up to be cross-examined on her statement, and also failed to inform the adjudicator Table Top Collection LTD. that she would not be coming. The lawyer representing Ms Kazen and Surprise Import, Gornitzky and Partners claimed to have Power of Attorney to represent her, and went outside with the Table Top’s representative who phoned their client. Table Top decided to give up on their mark and also on the expense of cross-examining Ms Kazen. On 20 July, Table Top informed the court, and on 29 July Surprise Import informed the court. In their report to the court, Table Top requested legal costs, clarification and an additional hearing on the main dispute or on intended. In the circumstances, the competing marks procedures is to continue and both sides are to present evidence and to be available for cross-examination. In this instance Ms Yaara Shoshani Caspi did see fit to compensate the second applicant for Surprise Import’s behaviour and fined Surprise Import & Marketing Of Gifts Ltd 7000 Shekels in legal costs.